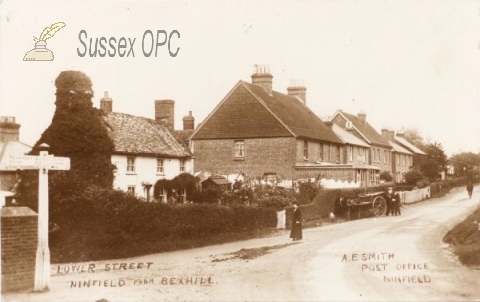 Ninfield village is spread along the main road running into Bexhill from the west. There is speculation that the name arose due to the fact that the village originally covered nine and three quarter fields, however the parish covers some 2500 acres. It has also been suggested that the name comes from the Anglo Saxon, Nimen feld, literally the seized field. The damage caused to the village by the army of William the Conqueror is mentioned in the Domesday survey. To the west of the village lies Standard Hill, where William the Conqueror is supposed to have placed his flag after the Battle of Hastings. The history was long involved with the iron industry, an association commemorated by a set of iron stocks. The famous bird illustrator Basil Ede, the actress Charity Wakefield and the architect Sir Giles Gilbert Scott all lived in the village. 550 individuals in the OPC Database for the 1841 census. 603 individuals in the OPC Database for the 1881 census. 621 individuals in the OPC Database for the 1891 census. 619 individuals in the OPC Database for the 1901 census. 6 individuals in the OPC Database for the 1841 census. 45 individuals in the OPC Database for the 1851 census. 66 individuals in the OPC Database for the 1861 census. 40 individuals in the OPC Database for the 1871 census. 32 individuals in the OPC Database for the 1881 census. 80 individuals in the OPC Database for the 1891 census. 73 individuals in the OPC Database for the 1901 census. Grid reference: 570500, 112500 ~ View on: Google Maps, Open Street Map, Streetmap, National Library of Scotland Map or Oldmaps. The OPC database contains 85 poll register entries for people entitled to vote in this parish. The OPC database contains 74 entries for people associated with this parish mentioned in Gazettes. Ninfield Local History Group was formed in April 2012 to inform and document the history of the village and to help with research and enquiries about life in the village in the past and present. 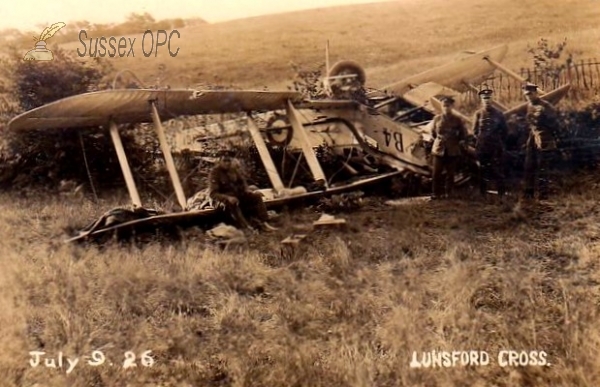 There are 40 images depicting this parish in the OPC database. 33 entries from the 1858 Directory and Gazetteer of Sussex. 1858 Directory and Gazetteer of Sussex for Ninfield.